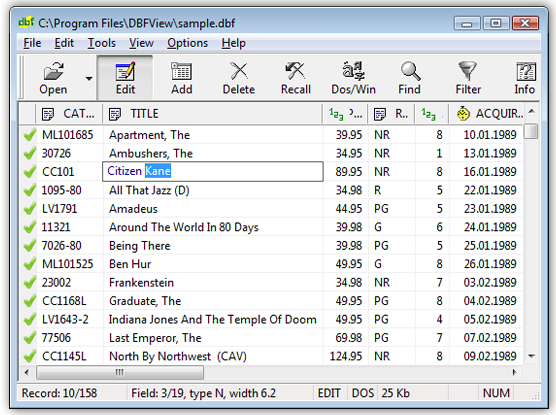 DBF Converter & DBF Viewer is a compact but powerful tool for viewing, editing, and printing DBF-format databases. It is able to export dbf files to txt/html/csv/xls/xlsx format. It supports dBase, Clipper, FoxPro, Visual FoxPro and other DBF file formats. If you need more information please contact the developers of DBF Converter & DBF Viewer, or check out their product website.